Home :: Port Authority Signature® - Rapid Dry Crew. K450. Port Authority Signature® - Rapid Dry Crew. K450. 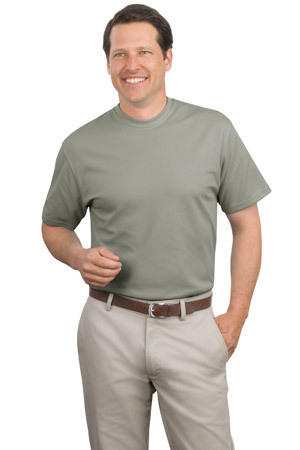 This classic crewneck t-shirt beats the heat and stays dry with our Rapid Dry moisture-wicking technology. The cool baby pique is perfect for an active workday, hot weather and travel.